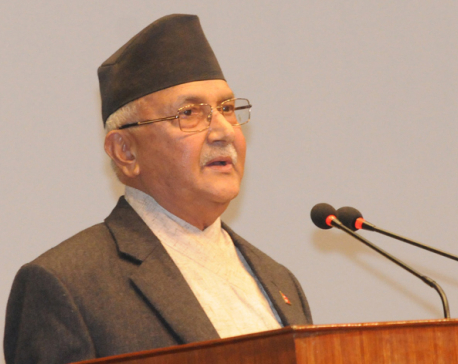 KATHMANDU, July 30: Prime Minister KP Sharma Oli has said the next government was expected to follow the course set by the incumbent one. Addressing a program organized on the occasion of the ninth anniversary of Avenues Television here Saturday, the Prime Minister said the new leadership would be compelled to go with the course set by his government. He expressed his confidence that people would be there for warning if a new leadership tried to deviate from the same course. He claimed that during his tenure, he was able to revive his 'repressed dreams'. We had been able to free the country from long dependency on other countries and Nepal had regained its prestige and dignity during our tenure, he said. Sites for the mines of uranium, iron, petroleum products and salt had been identified, he said, adding that now our efforts should be focused on their utilization. "Nepal is rich in natural resources and precious metals," the Prime Minister said. Oli was confident that there will be railway service in the country although he admitted to have faced mockery when he first floated the idea of operating railway service linking East to West of the country. Furthermore, the PM revealed that some political parties were worried for their future after his government brought forth people-oriented programs. 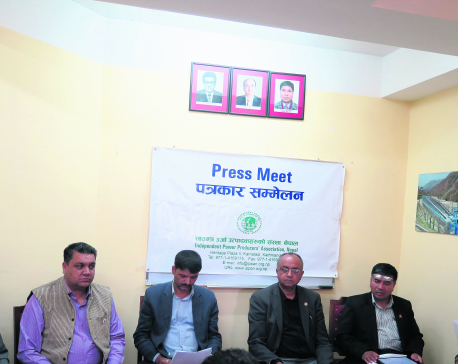 "No sooner we distributed 20,000 houses to poor households under the People's Housing Program and the irrigation related program was in the offing, other parties seemed to be seething with envy and losing their sleep to insecurity," quipped PM Oli. On the occasion, the Television feted PM Oli for introducing programs that were] farsighted, oriented towards economic prosperity and for bringing the planned development.